As the walks have been selling out (thanks everyone!) 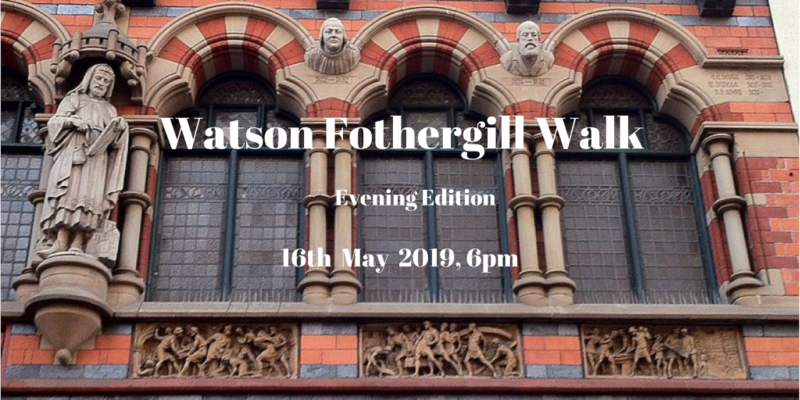 I’ve added a new date for the evening edition of the Watson Fothergill Walk. This one will begin at 6pm on 16 May 2019. Tickets are available here. 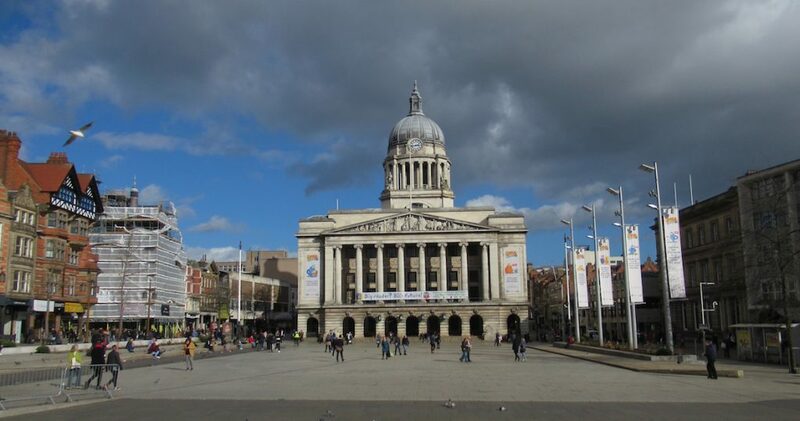 Join me to explore the distinctive buildings of this most singular Nottingham architect. The walk starts at Nottingham Tourism Office by the Council House and concludes at Fothergill’s pub, itself one of Watson Fothergill’s buildings, by Nottingham Castle. Tickets are £12. A couple of tickets left for The Hine Hike. There are still just one ticket left for The Hine Hike on 14 April, starting at 10am. 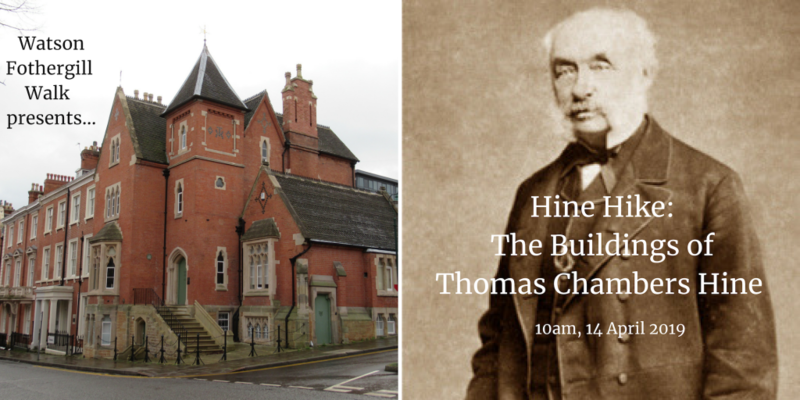 Join me to discover some of the Nottingham buildings of architect Thomas Chambers Hine.Tickets are £12 and include a drink and a cake at Debbie Bryan at the conclusion of the walk (approx 2 hours). Finally, Nottinghamshire Archives have invited me to talk about Watson Fothergill and another great Nottingham architect, Thomas Cecil Howitt on 10 May at 2.30pm. I will be looking at Fothergill’s buildings that are close to Slab Square and also The Council House and Exchange, which celebrates its 90th birthday, having opened on 22 May 1929. Tickets are £5 and include an opportunity to examine archive materials relating to both architects. Can’t make any of these dates but still interested? Sign up for my mailing list to receive news of new walk dates as soon as they are confirmed.